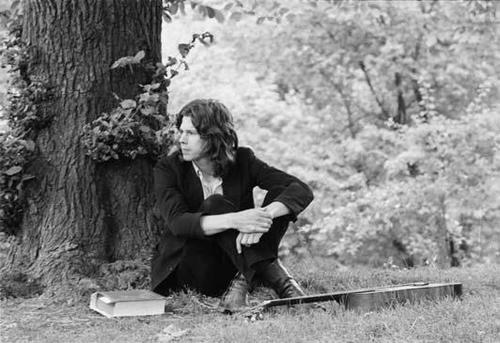 Nick Drake was 26 years old when he died in 1974. In that short time he produced 3 studio albums and several tracks that were released decades after his death. His colleagues as well as his manager, Joe Boyd, believed there was incredible potential in this young prodigy. But not only was his style of music difficult to sell, but Nick was also a reluctant performer. After a few ill-fated performances, Nick decided to never perform live again. Not much attention was given towards this unique musician until decades later, mostly due to a Volkswagon commercial that used the title track from Nick's most daring album. So why is Pink Moon so daring? It’s not because of the production costs, nor the endless recording sessions, nor the hundreds of performers hired to play on the album. It’s none of those because the album didn’t have any of them. The album was extremely bare and deceivingly simple. Even his engineer, John Wood, was surprised when Nick stood up after finishing his 2nd two-hour recording session declaring the album complete. The album consists of Nick’s voice and his guitar (with one piano overdubbed on the title track). Of course, Nick’s guitar playing was always anything but simple. He used unusual guitar tunings – of his own devise – and sang in unique vocal melodies. It has been theorized that his vocals stem from his saxophone background. When you hear his melodies, you can almost hear his voice in place of a saxophone. The stark sound of Pink Moon was also a dramatic turn in comparison to his previous two albums, which were full of orchestral arrangements and jazz-influenced, folk music. Pink Moon was a dark, blues-influenced sound with lyrical themes of hopelessness. It comes to no surprise then that Nick had a low opinion of his place as an artist. He considered his previous two albums as failures because of the lack of sales. Any Nick Drake fan, however, will tell you differently. The 3 studio albums were all successes as far as significance and originality. Nick was a proficient guitarist with a warm, husky voice and poetic lyrics. Sometimes a man’s greatest work comes from the darkest places. Pink Moon is the sound of a man at a low point in his life. How unfortunate that Nick isn’t around to receive the validity he lacked when he was creating his masterpieces. But it’s wonderful to know how much attention Nick Drake is getting these days. He’s a great example of talent being unrecognized despite the quality of work. Personally, I hope his music will be appreciated for generations – as I’m sure it will. TRIVIA: During his school days, Nick Drake was very athletic and won several awards in track and field. His record for the 100-yard dash at Marlborough College in Wiltshire, England still stands (as of 2012).